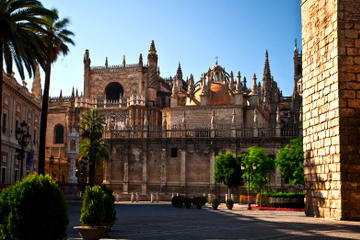 Discover Granada’s gems over two scenic, relaxing days on this tour from Seville. Explore the UNESCO World Heritage-listed Alhambra Palace and the Albaicin Quarter and enjoy skip-the-line access to Nasrid Palace, the Alcazaba fortress and beautiful Generalife Gardens. Learn about the impressive Moorish architecture from your guide and relax in the soothing Arabian 'hammam' (bathhouse). Start with a pickup from your Seville hotel or central Seville in the morning, and then travel along a route taken by Washington Irving, author of Tales of the Alhambra. 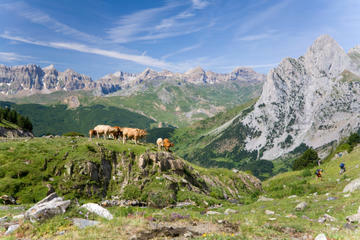 Enjoy the stunning Andalusian scenery as you make your way to Granada. When you arrive in Granada, visit the UNESCO World Heritage Site of the Alhambra, a fascinating palace complex perched atop a hill. Explore the architectural wonder with your guide, admiring the Moorish architecture of Alcazaba Fortress and three Nasrid Palaces – Mexuar, Serello and Harem. Marvel at the intricate Islamic artwork inside then visit the Palace of Charles V, designed by renowned architect Pedro Machua. Continue to the Generalife Gardens and envisage the Moorish kings of bygone times relaxing amid beautiful fountains and colorful flowerbeds. Often translated as ‘gardens of paradise,’ this beautiful space is perfect for a leisurely stroll, so do just that with your guide. At the end of your Alhambra tour, check in to your Granada hotel and enjoy a few hours at leisure for lunch (own expense). 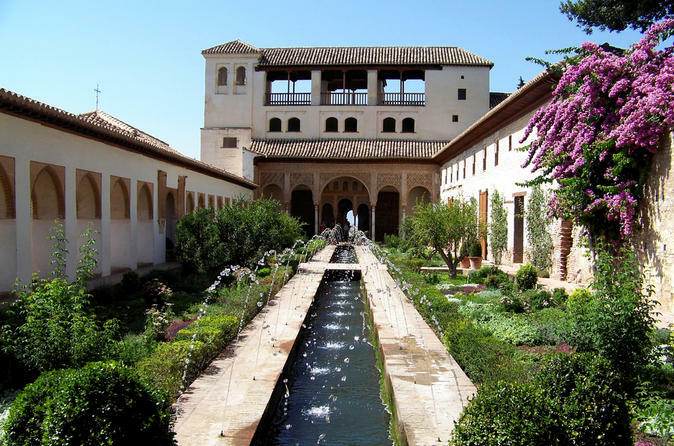 At the pre-arranged time, make your own way to Granada’s Arab Baths -- Hammam Al Andalus -- for a relaxing soak. Spend your afternoon relaxing in the bath’s seven different pools, all beautifully adorned with glistening tiles. Water temperature is different in each pool, so you can chose the most right to relax yourself. Your guide will then collect you from the baths and drop you back at your hotel. Meet your guide at Bib Rambla Square to start your walking tour around Granada’s historical center. 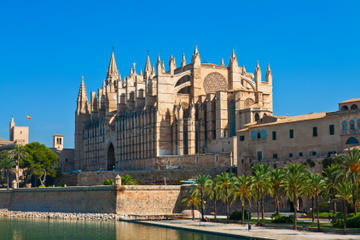 The area roughly covers the streets from Bib Rambla Square to Realejo – just down from Albaicin. While strolling around this charming neighborhood, your guide will tell you all the history and secrets of this magic city. Admire a masterpiece of Spanish Renaissance, Granada Cathedral, and then visit Alcaicería, the city’s Moorish silk market that was restored after a 19th-century fire. Hear of the city under Nasrid rule when Granada was one of the richest cities in Europe, and learn about its Catholic and Muslim eras. Continue to Albaicin to explore this UNESCO World Heritage-listed neighborhood -- famous for incredible views toward Alhambra with the Sierra Nevada Mountains as a backdrop. After stopping for photos, work your way back to Bib Rambla Square. 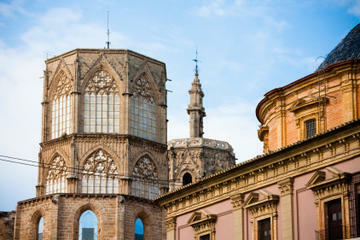 Enjoy some free time to discover the fascinating city at leisure before returning to Seville. 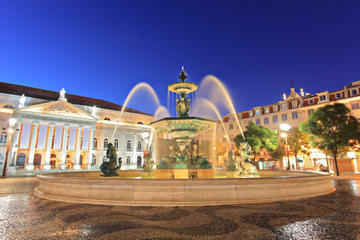 - Confirmation will be received at time of booking, unless booked within 1 day of travel. In this case confirmation will be received as soon as possible, subject to availability. Whilst we've rated the tour highly (which is mainly due to the fact of the beautiful location and activities) the tour company was disorganised. Our pick up time in Seville wasn't confirmed with us, they didn't arrange our paper work with the hotel so the hotel in Granada and the hotel staff argued with us wanting payment, or confirmation of booking that was never provided to us bynthe tour company, and to top it off the tour company forgot to pick us up to take us back to Seville. Firstly, we very much enjoyed the bus trip to Granada. The guide Clara was very welcoming and gave an informative commentary en route. We also enjoyed The Alhambra tour, especially the radio link to the guide so we could look around, take photos and still hear all the information. We also enjoyed the Arabic Baths (once we found them) and the walking tour on Sunday morning. However, we were very disappointed with the location of the hotel ( Hotel Real de Alhambra) - it was too far out from town, needing the bus and taxis to get around. A hotel much closer in would be better for our situation when we weren't travelling with the whole group so we could have used our spare time more efficiently. Also a guide was supposed to meet us In Plaza Santa Ana to take us to the baths a few minutes before 6:00 pm. But by 6:10 no-one had showed up. We asked a guide from another company where the baths were and we found them. However by this time it was 20 minutes late so we missed the full session. The pick up to come home went very smoothly. 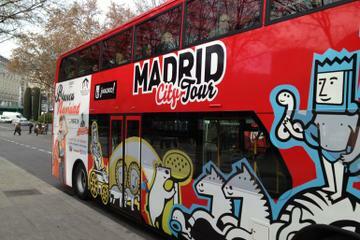 Unfortunately this was not a "2 day Granada Tour" by the supplier. Instead, Viator subcontracted with local operators, and the reliability of these varied enormously. The Alhambra itself is, of course, magnificent, and the tour guide on site was fantastic. But we were required to meet different local operators who did not show up for two of the three meeting points. (We arrived 15-30 min. early) The hotel was not as advertised. Information concerning the return trip to Seville was shifted and we found the bus only by chance (we recognized the stickers a fellow traveler was wearing). Attempts to contact folks were fruitless. 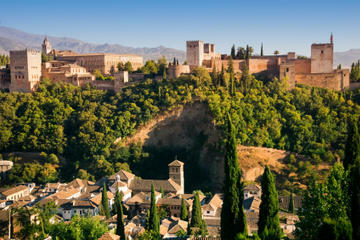 The Alhambra is obviously worth visiting, but doing so on this trip is a risky proposition. Tour promised hotel pickup, but we were informed that we had to walk about 0.5 km to a pickup point, which was over a bumpy road at 6am and possibility of rain. We had to arrange a taxi, at significant cost at that time of day to just go the short distance. The hotel was out of town and was not convenient. No breakfast was included and this was an extra cost. The walk through Granada was very basic and really a waste of time. The return travel was by train which took5 hrs where the original travel to Granada by road was only 3hrs. We were expecting return travel by road. A significant frustration was that there was no one available to discuss our concern. Overall we considered the tour to be poor value and I would not recommend this trip. We decided not to proceed with a number of other tours which we were considering booking with viator following on this experience.